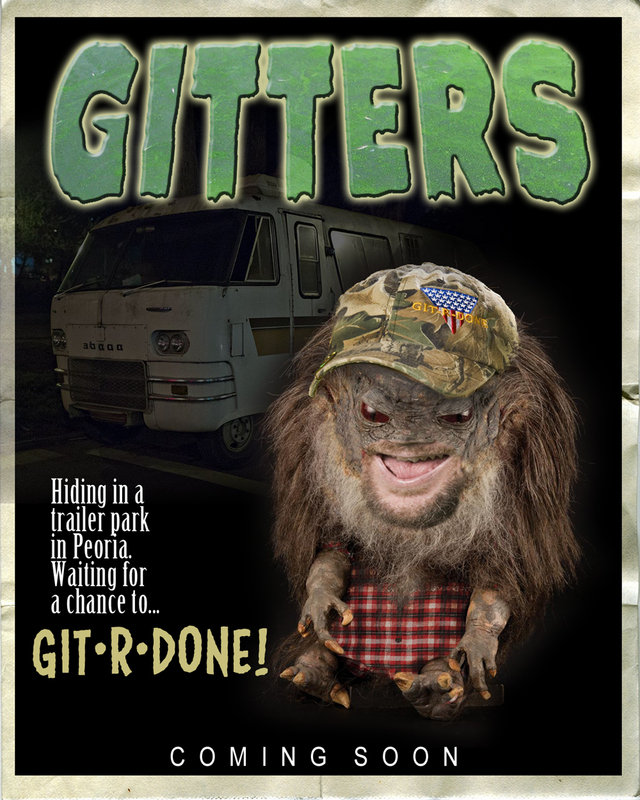 Larry the Cable Guy – Critters mash-up. What? It could happen. Someone should bankroll and greenlight every idea from Drunken Zombie. Hey everyone, I am working on an additional/companion site, www.jeffreypappas.com, something well rounded and covering more styles and mediums. Okay, so it’s not exactly a Series 2. I guess you could say I produce trading cards in much the same way as Bryan and the gang produce podcasts. So here is the much anticipated (much smaller than anticipated) addition to the deck. 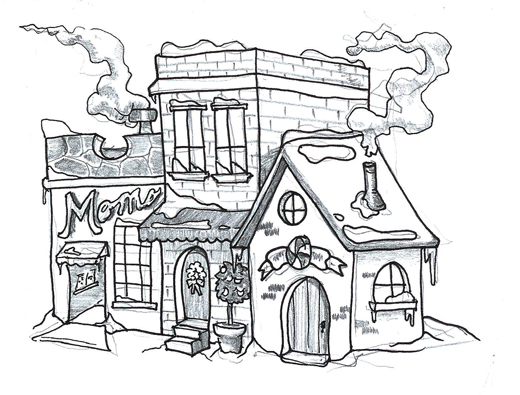 Someday, maybe, I get some more done…maybe. Well Halloween is over. boo…And I mean boo (and I don’t mean boo as “Ima gonna scare you”) But I have been a lazy sack o @#$% about creating content, so I am gonna start off the holiday season with a new attitude. How can you let those around you, know that you are prepared for the Zompocalypse? 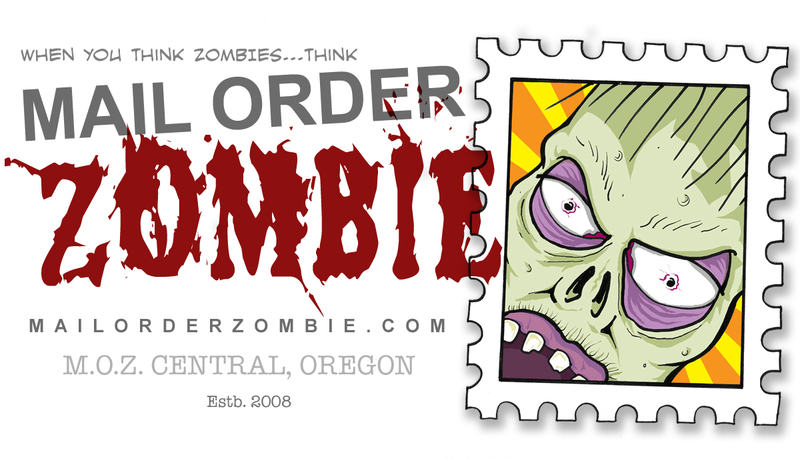 Simple, get your hands on some of these Crazylawnmowerguy designed stickers from Brother D at Mail Order Zombie. If you don’t know Brother D, well, you don’t know nothin’ ’bout zombies. Seriously though, Brother D has a great podcast all about the zombie genre, check it out HERE, and get the sticker HERE. 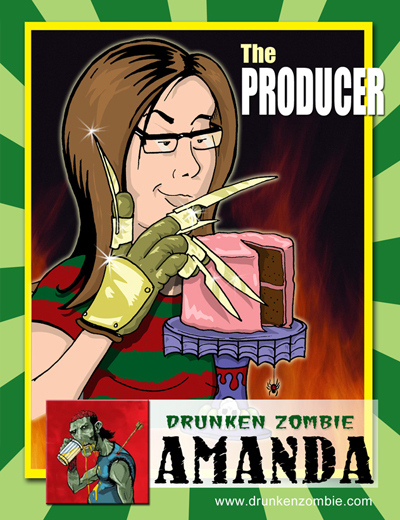 Appearing at Gen Con Indy 2011….The Drunken Zombie Trading Card Game! Well, not really. But they would probably be willing to autograph one of these for you if you attend the annual Film Festival or one of their “Double Feature Weekends”. nor rain, nor heat, nor gloom of night stays these couriers from the swift completion of their appointed rounds. 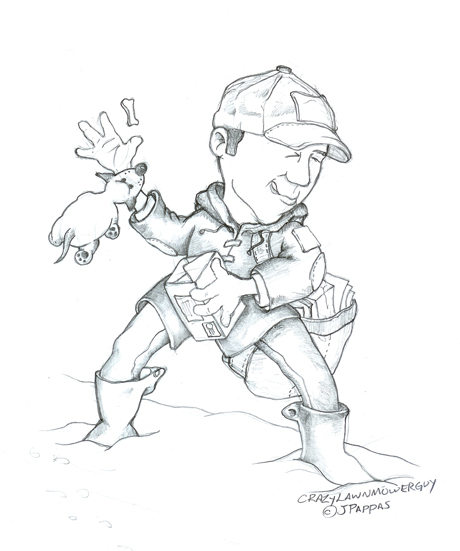 This sketch was inspired by my father, George, a mailman for 30+ years. He passed away on Jan. 6th. I really believe he enjoyed being a letter-carrier and the people he got to meet over the years. I am hoping to experiment with some new coloring techniques on this. Stay tuned.